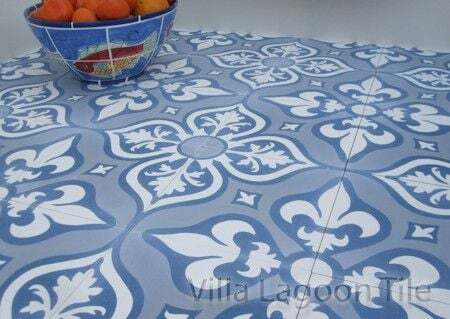 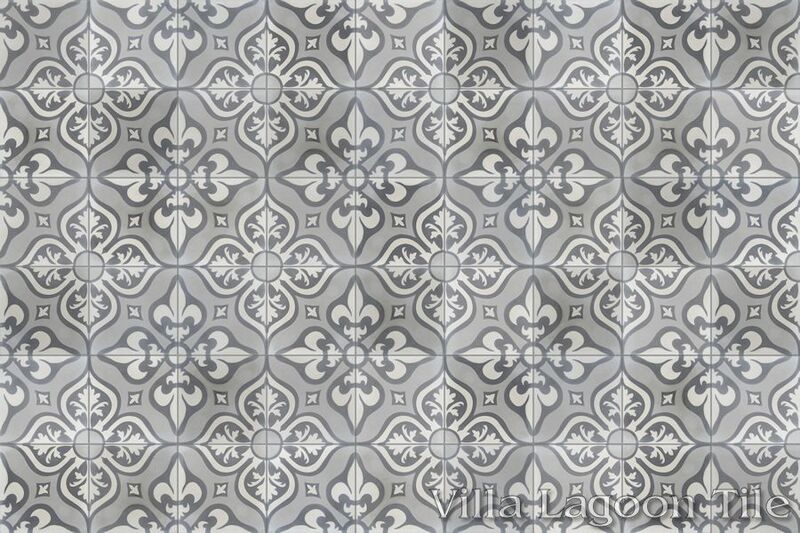 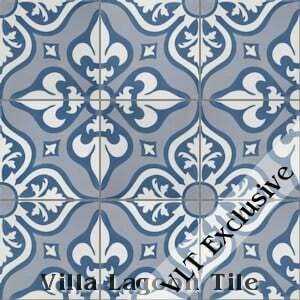 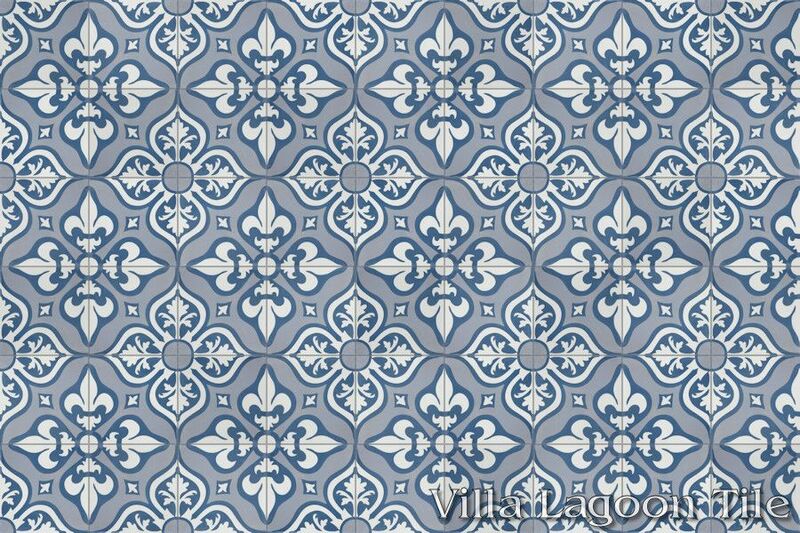 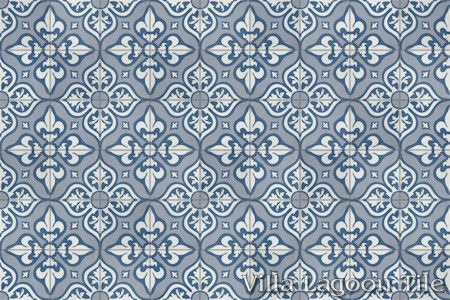 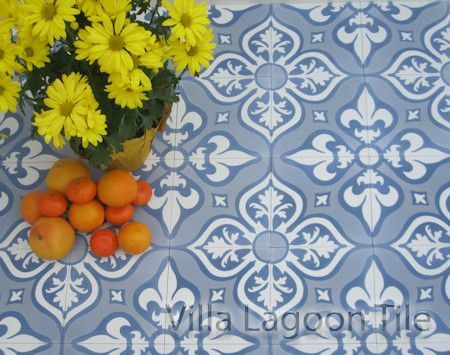 This original Villa Lagoon Tile pattern carries the tradition of French floral tile patterns, and bears the iconic "fleur-de-lys", the heraldic lily ("fleur" is French for "flower"). 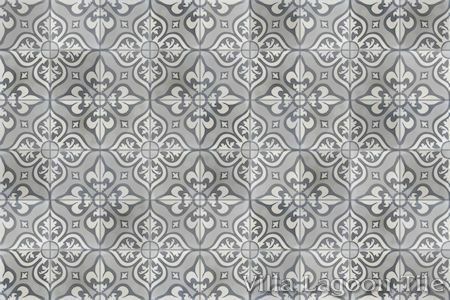 While most closely associated with French, and French-influenced areas such as Louisiana and New Orleans, fleur-del-lis have been widely used as heraldic symbols throughout Europe. 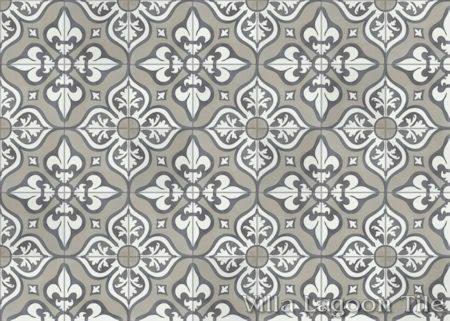 The fleur-de-lys is also strongly associated with Florence, Italy, and was the "tail" of their historic gold coins, "florins". 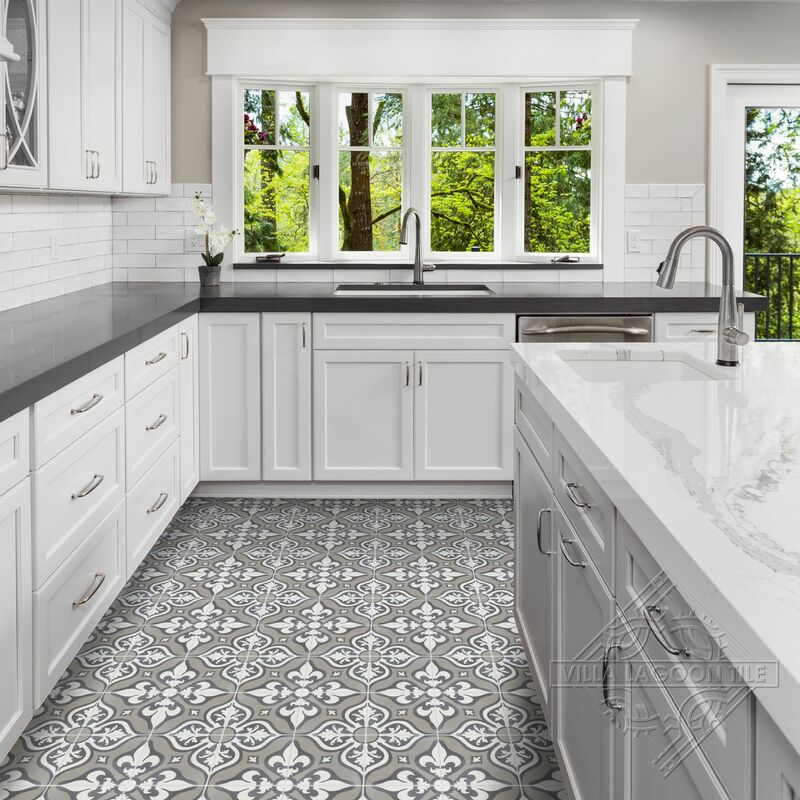 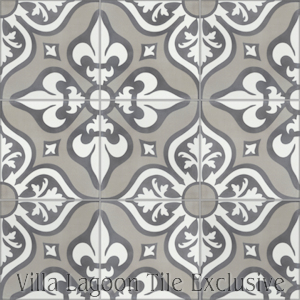 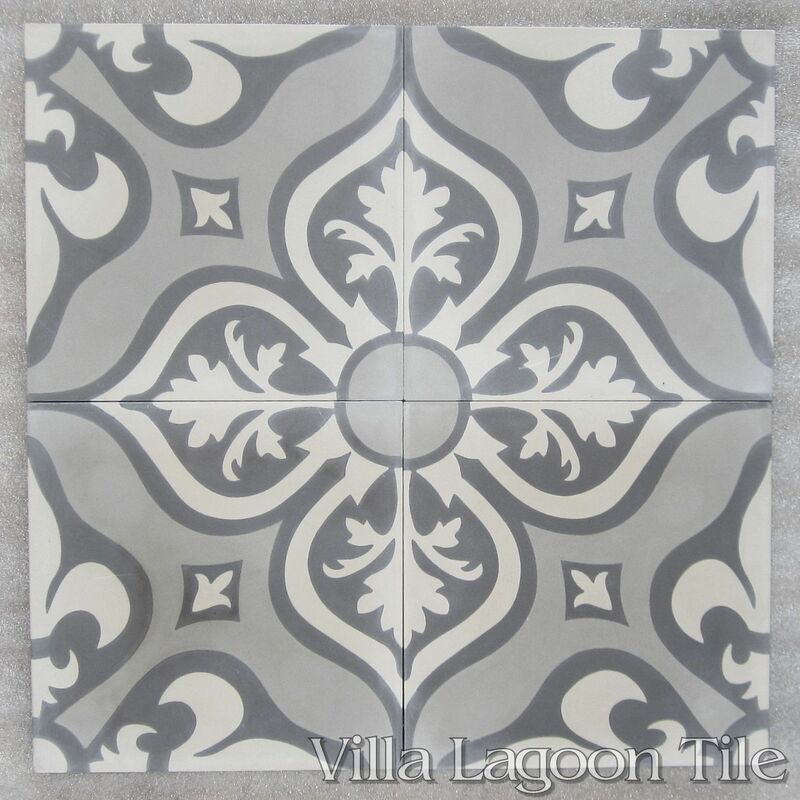 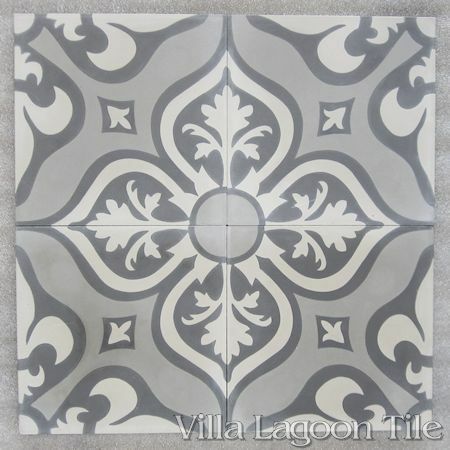 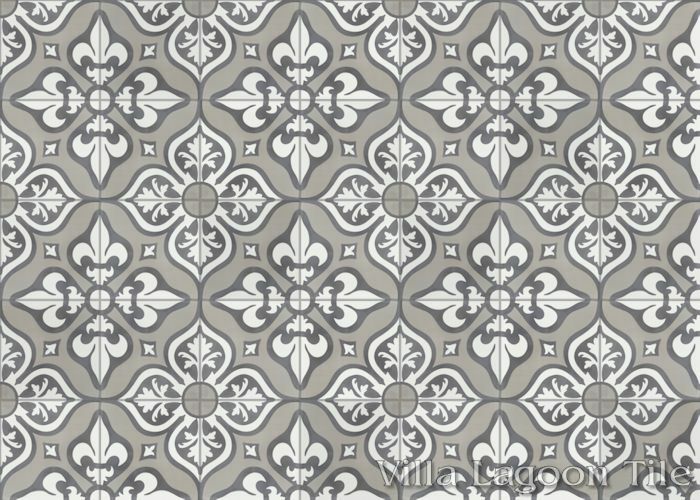 Villa Lagoon Tile's original "Lancelot" cement tile pattern using White, Arctic Gray, and Washed Denim from the South Beach Palette. 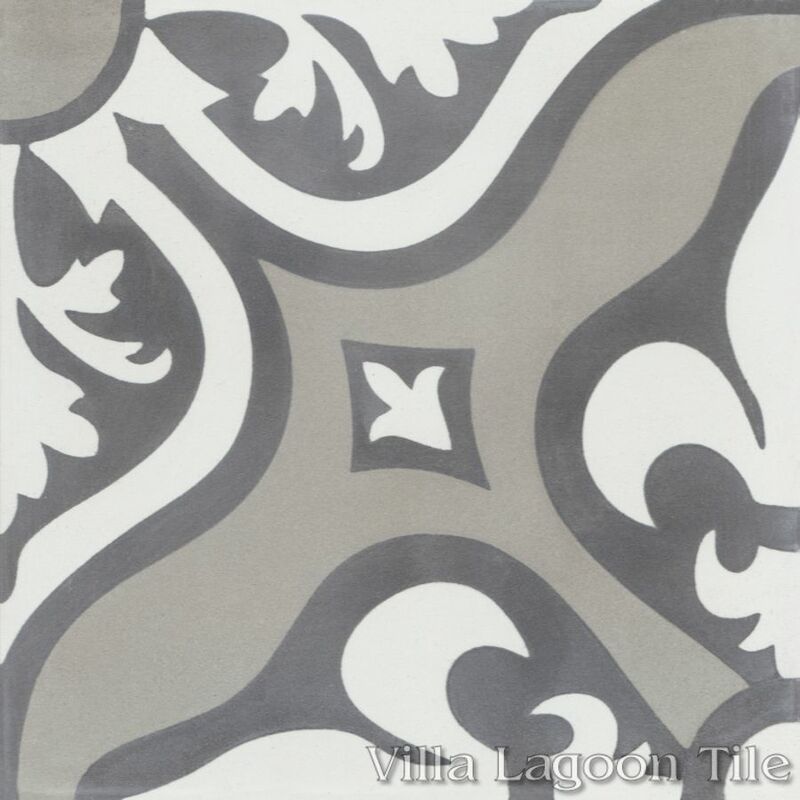 Villa Lagoon Tile's original "Lancelot" cement tile pattern using Featherstone, Excalibur, and Fog from the South Beach Palette. 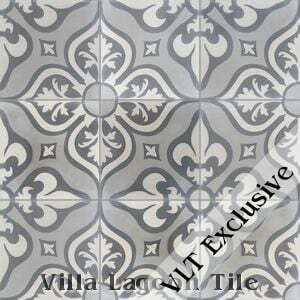 Villa Lagoon Tile's original "Lancelot" cement tile pattern using Excalibur, Featherstone, and Smoke from the South Beach Palette.